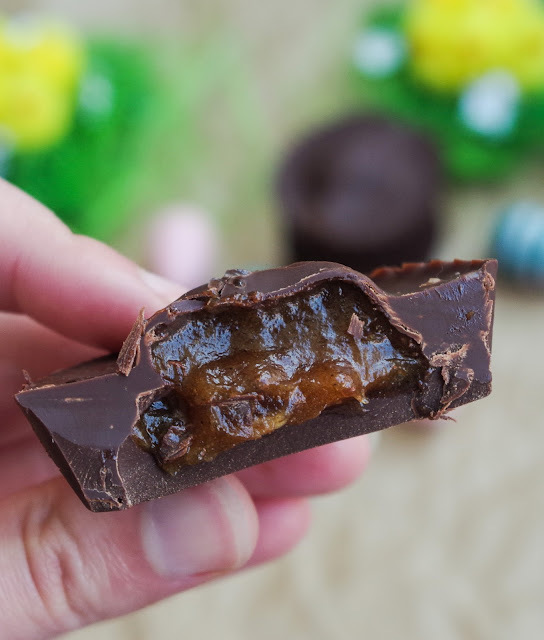 Easter treats are so much fun, for kids and grownups alike, but it can be a bit tricky to find exciting vegan options, loaded with eggstravagant fillings. Whether it's chocolate treats you crave or the fruity, zesty flavours of a hot cross bun, I've got you covered with a whole range of sweet treats perfect for Easter! 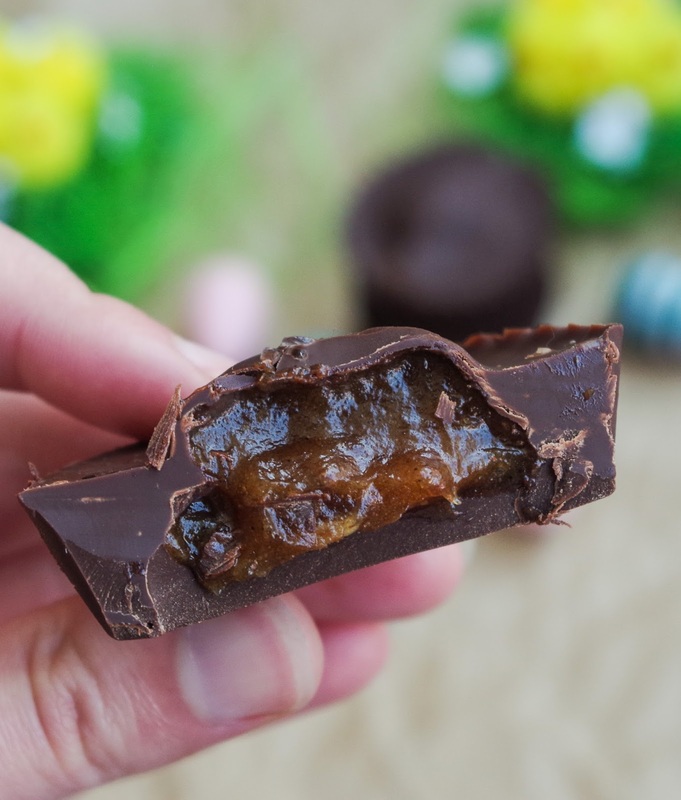 So get making and enjoy these treats with your friends and family this Easter weekend! Ideal for good Friday...this hot cross bun-inspired pull-apart bread is loaded with dried fruit, plenty of spices and candied peel...its crunchy around the edges, fluffy in the middle, it's the perfect way to kick of the Easter weekend! Struggling to find a drool-worthy mini chocolate treat at a decent price? Why not make your own? Set the chocolate cups in paper casings and make your own fillings out of whole food ingredients. Pictured above is the salted caramel flavour, there's also 'cream egg' and 'hot cross bun' flavours! 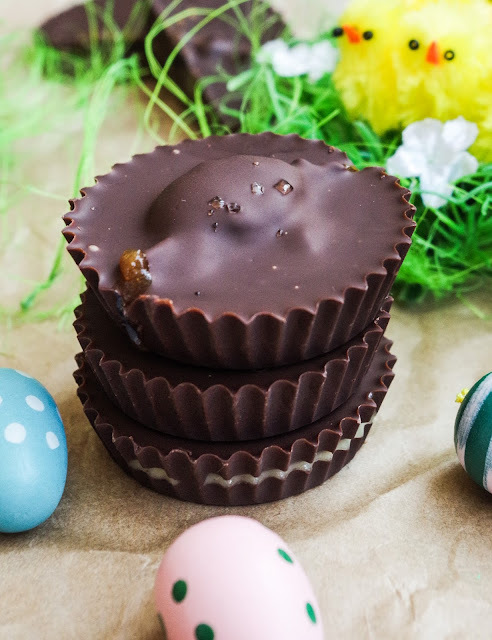 If you have egg-shaped moulds you can use these too...wrap the finished treats up in foil and have your very own Easter egg hunt! Originally designed for Valentine's, but equally as great as an Easter treat, roll each truffle into an oval shape, wrap in foil and you've got your own egg-shaped truffles to hunt! 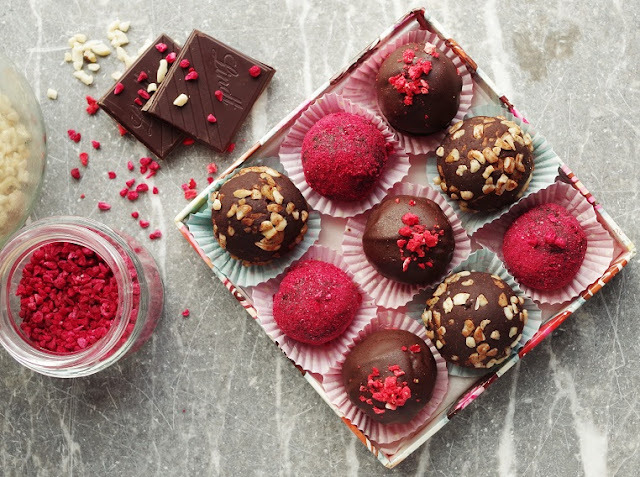 Pick from hazelnut, strawberry and chocolate coated, or get creative with what's in your cupboards, whichever flavour you choose, these truffles are incredibly easy and crazy delicious! Rich, creamy chocolate pudding, with a crisp, nutty base, served perfectly portioned in a little jar. 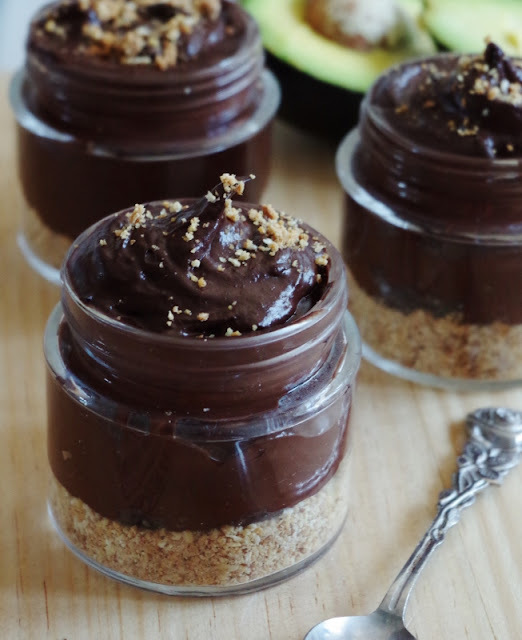 Only taking 15 minutes, from start to finish, these are the ideal treat to make in advance and store in the fridge for when you have company - but be sure to hide one behind the ketchup, or you won't get a look in to these unbelievably delicious pudding jars. 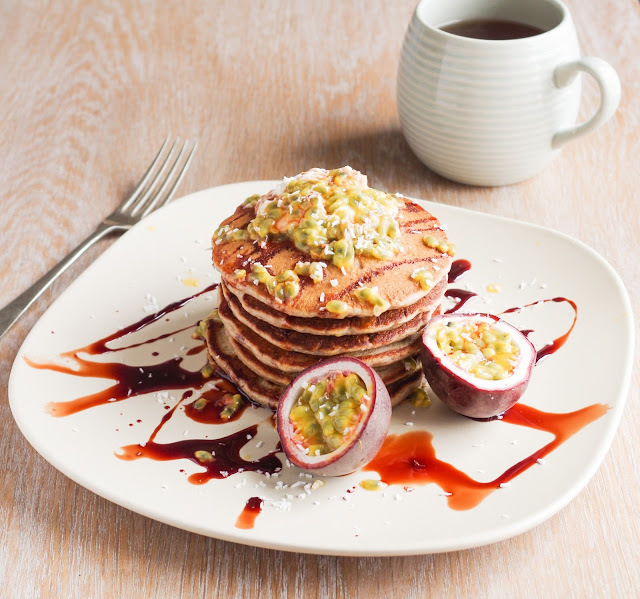 If you're not already having chocolate for breakfast, then cook up a stack of these tropical pancakes, loaded with flavours of banana, coconut and passionfruit. Simple, fluffy and delicious! More of a cake person? 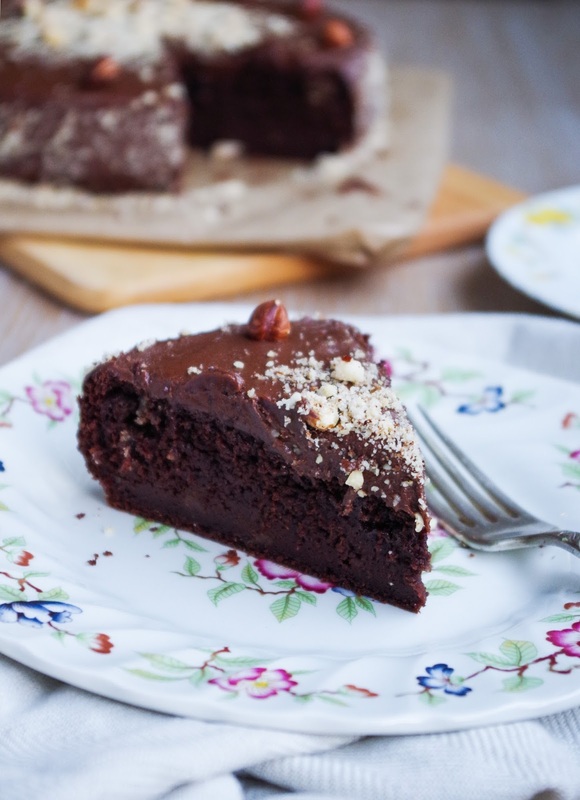 This chocolate hazelnut fudge cake is everything you'd want in a cake and more, it's so delicious you'll want to eat every last crumb of it Matilda-style and you won't feel any regret. It's moist, yet still light, rich and chocolatey with hazelnut flavours and iced with the most incredible chocolate fudge frosting that just brings the cake to the next level. This is not one to skip. 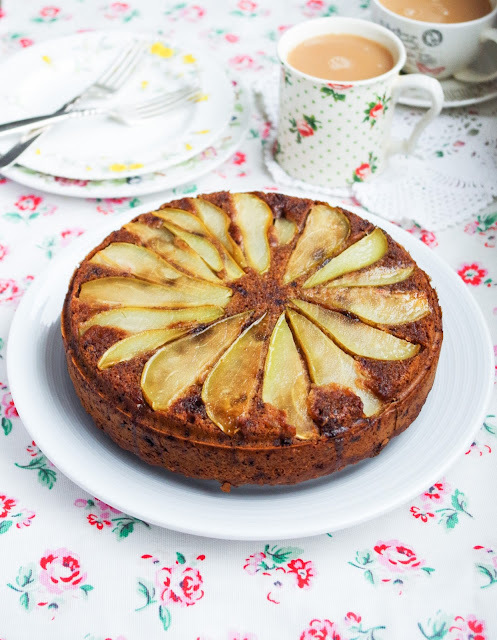 If you're not a chocolate cake kinda person, this pear and ginger spice cake is sure to go down a treat. Loaded with spices, nuts and plenty of ginger, topped with slices of pear, this cake is an absolute delight! 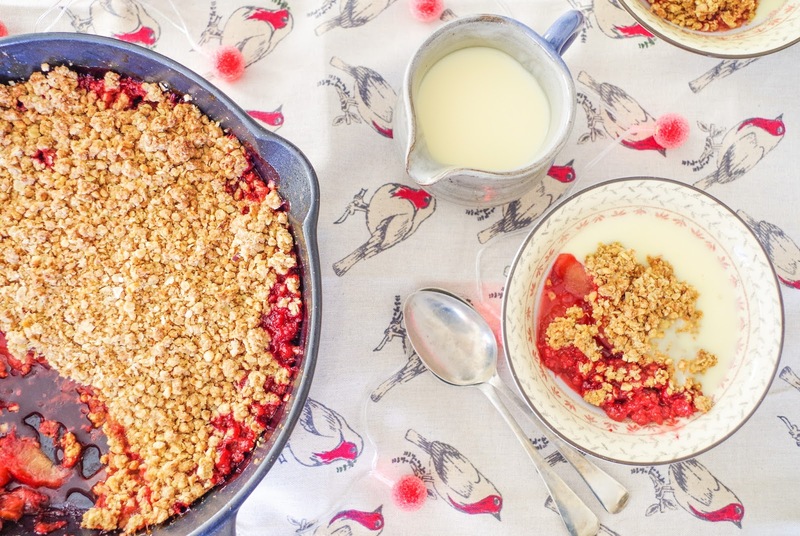 Going down the more traditional pudding route, this spiced plum crumble is absolutely delicious, serve hot with warm custard or vanilla ice cream. This crumble is the perfect end to an Easter Sunday roast! From chocolatey to fruity, big to small, there's something for everyone, so get cooking and enjoy those Easter treats!